Even The Endless must ultimately succumb to a final denouement it seems, as Neil Gaiman and JH Williams III’s epic comic series nears its conclusive issue. 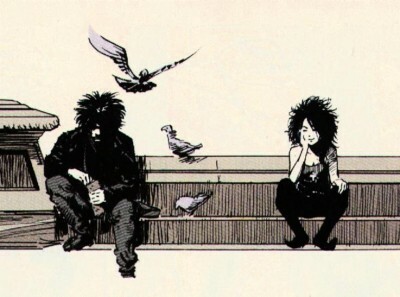 The Neil Gaiman created King Of Stories and Shaper Of Dreams has been with us now for 26 years, with his first appearance in 1989’s The Sandman (Vol-2) #1. 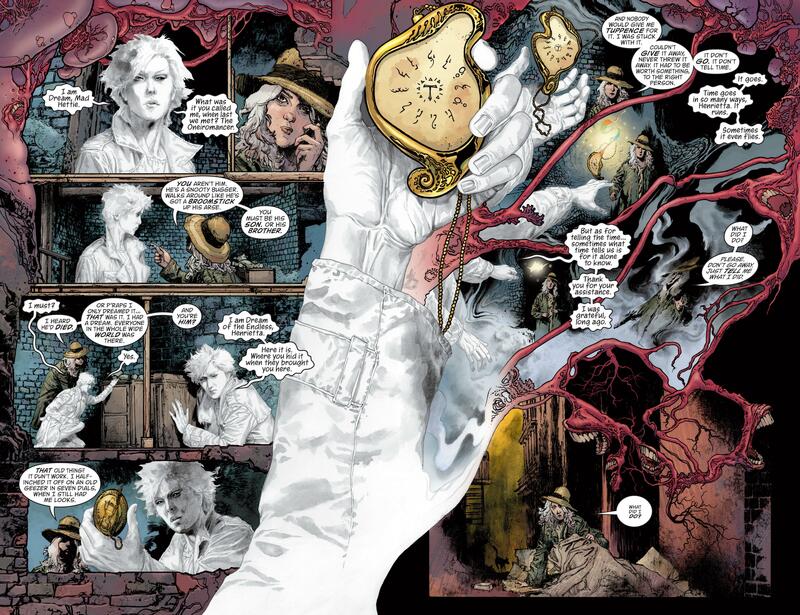 Sandman: Overture heralded Gaiman’s return to both comics and his created character, joining alongside artistic luminary JH Williams III (Batwoman: Elegy, Promethea) whose amazing visual style lights up every single page, with each comic panel an individual masterpiece in its own right. The series first issue was released December 2013 in conjunction with the 25th anniversary of the character, with each subsequent issue sporadically released since then, with the final issue, #6 due on September 30. Serving as a prequel to the original classic series, it weaves the tale of a cosmic event that weakens Dream enough that a human mystic is able to capture him. Released alongside the mini-series were also Overture: Special Editions that included gorgeous gatefold covers, metallic inks, black and white issues and glimpses into the creative process behind the creation of the comics themselves, including original panels sans text, interviews and script notes. 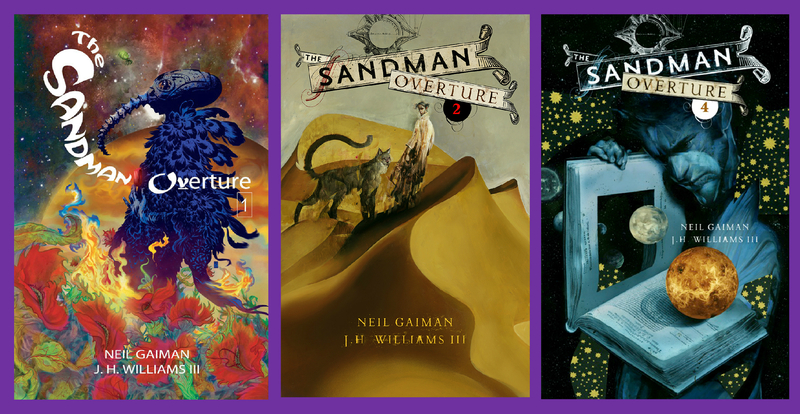 As previously mentioned, the end of Overture will segue back to the start of Sandman’s original adventures in Sandman Vol.1: Preludes and Nocturnes, making this series the first stop for any new reader wishing to acquaint themselves with The King Of All Night’s Dreaming. 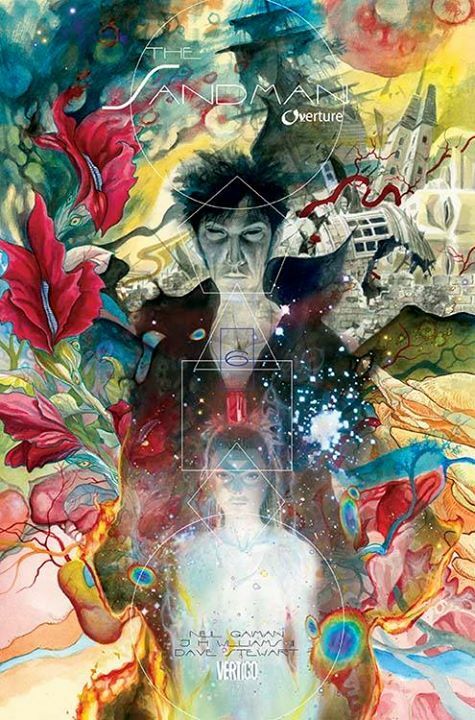 Sandman: Overture #6 will be available to purchase on 30 September. Written by: Neil Gaiman. 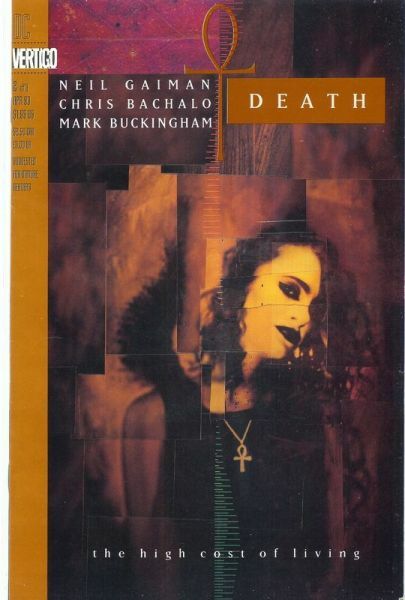 Cover art by: JH Williams III & Dave McKean. Interior art by: JH Williams III.